The SSA lasts five full days. Each day starts at 9 am and ends about 4:30 pm. Students participate in discussions, laboratories and field trips. 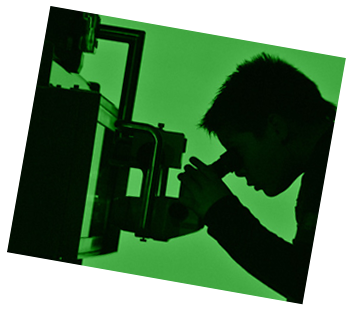 The courses involve college-level science material. Students may attend as either commuters or residents, staying in the McDaniel College dormitories. There will be evening activities scheduled for the resident students. These include speakers, movies, games, and swimming at McDaniel’s indoor pool. SSA counselors and faculty will be present at all evening events. Commuter students are more than welcome to attend any evening activity. All students in 9th - 12th grade are welcome. Students are eligible for the scholarship after successfully completing at least one week at the Summer Science Academy (SSA). 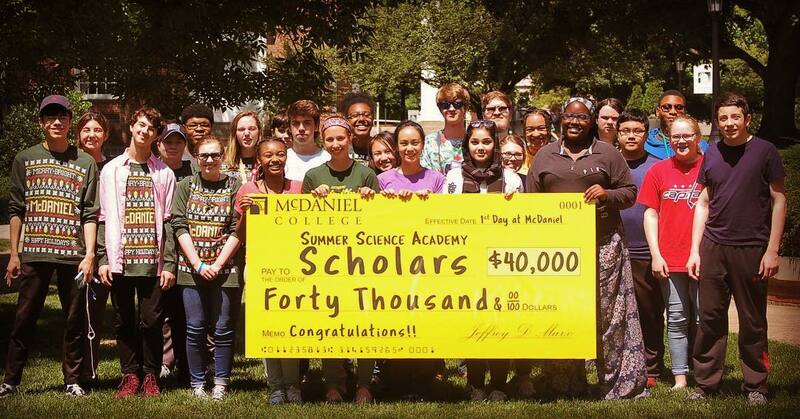 Students who have already been accepted to McDaniel College as an undergraduate are welcome to attend the SSA, but are not eligible for the scholarship. See more details about the scholarship. Resident Student fees cover instruction, laboratory supplies, lodging (5 nights) and meals. An assistant will be on hand to help participants adjust to a college setting and living on campus. *There is an additional $50 boat trip fee for the Marine Science course. Commuter Student fees cover instruction, laboratory supplies, and lunch (5 days). *There is an additional $50 boat trip fee for the Marine Science course. Students will be accepted on a first-come, first-served basis. Enrollment is limited and can only be secured by registering and paying online as soon as possible. Early registration is encouraged. A letter via email confirms acceptance into the SSA. An enrollment letter containing more detailed information will be sent three weeks prior to SSA. A $50 charge will be assessed for all cancellations. All cancellations must be verified at least 2 weeks before the SSA session begins to receive the refund. There will be no refunds within 2 weeks of the SSA session.